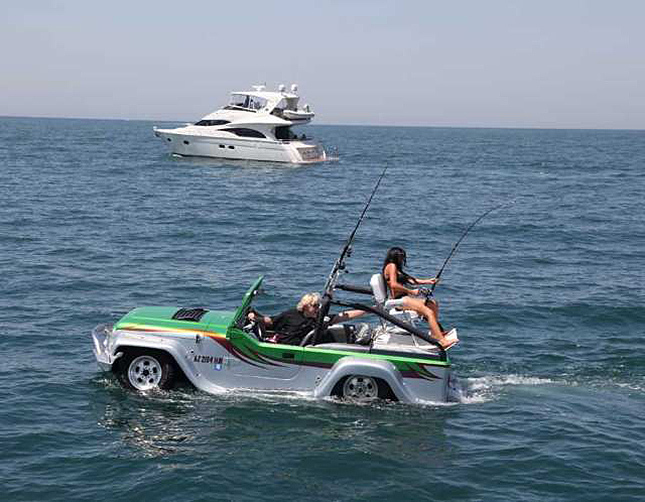 We've already seen some amphibious car models, but this one we like the most! 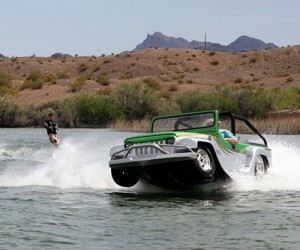 It's the Panther by WaterCar - the fastest amphibious car ever! Cruise down the highways at speeds reaching 80 mph. 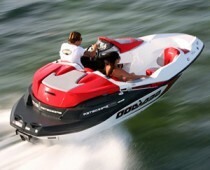 When you get tired of that, hit the water and glide along with the speed of 44 mph. 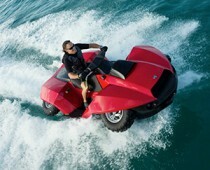 The amphibious vehicle is powered by a 300-hp Honda engine which makes it a true beast in the water. To complete the entire automobile package, there’s also a four-speed manual transmission, disc brakes, turn blinker indicators and head lights. When you’re about to enter the water, the special hydraulic wheel retraction system lifts the wheels above the bottom of the hull. This incredible amphibious vehicle uses the same marine propulsion technology used in personal watercraft, which allows the patented transfer case to redirect the engine's power to the Panther water jet. 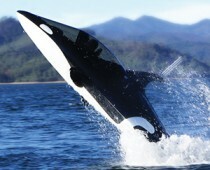 The coast guard-approved closed-cell foam ensures the vehicle remains afloat in the water. Great for either freshwater or saltwater.